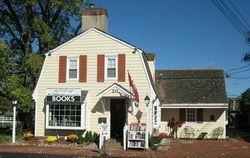 Act 2 Books, an award winning, independent, family owned book shop has been a favorite of bibliophiles for almost two decades. Nestled in historic Flemington New Jersey, Act 2 Books is a short ride from both Philadelphia and New York City. We're Open Every Day 11a - 8p.